Fancy controlling your computer from an Android device, but don’t want to go installing third-party apps on that computer just for the privilege? Mac Remote for your Android phone or tablet may just be what you need. Remote control apps are nothing new. A quick glance at the Play Store or the iOS App Store will reveal a huge list of apps that allow users to control a computer by using their smartphone, but they all tend to need a server application to be installed on the computer in question. It’s no great hardship, but it’s something that we could do without. Mac Remote for Android is a similar solution to the others in that it allows users to control their Macs using an Android-powered device. Nothing new you might say, but it actually has a party trick in that it doesn’t need one of those servers apps in order to work. Awesome stuff I tell you. So how does it work? Rather than ask users to install server applications on their computers, the Mac Remote app instead works over SSH. Users will need to enable remote logins for their machine, and the app walks them through that if they’re unsure about the process. If you’ve always avoided remote control apps due to that need to install a server, then this might be up your street. Once all set up, Mac Remote lets users do all manner of things without ever touching their computer. 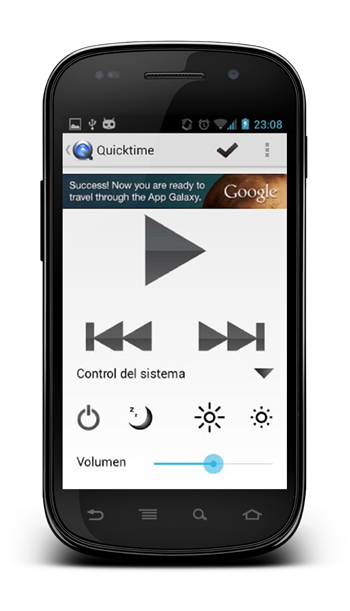 They can alter the volume and brightness controls for starters, as well as interact with apps like Spotify and iTunes. It’s not quite LogMeIn, but if you’re looking to be able to perform a few simple tasks then the combination of Mac Remote for Android and SSH should work well. If you’re after remote control in the traditional sense however, then you’ll want to look elsewhere. If Mac Remote sounds like it’s for you, then it can be downloaded for free from Google’s Play store. There’s no iOS version available as yet, which is a shame if you’re not an Android owner.